Attended another thermomix course last night with Miss 14. The menu was mouth watering Moroccan chicken with cous cous salad, meatloaf wrapped in prosciutto, berry sorbet, green smoothie, cashew and sundried tomato dip, lemon cupcakes, chocolate torte and sticky date pudding. All very yummy and more inspiration to try all these recipes too. Ham and cheese quinoa muffins were recommended at last night’s course. This is a guided recipe from the second cookbook and chip “cooking for me and you”. 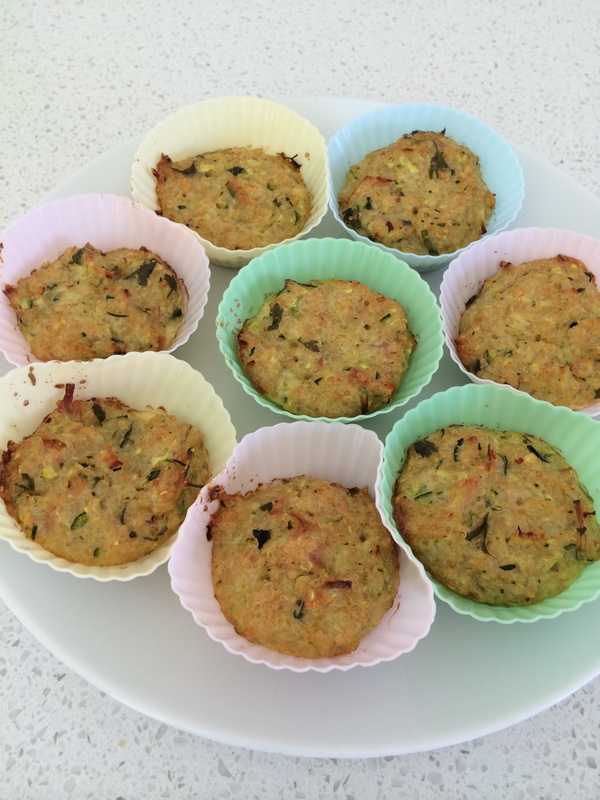 These gluten free muffins are fantastic, very light and moist and made from ham, cheese, egg, quinoa, spring onion and herbs. Perfect lunchbox food. Everyone loved them. The only problem was the recipe only made 9 so will be doubling it next time.